QUICK AND EASY HEALTHY AND FRESH HOMEMADE CHEESE WITH JUST TWO INGREDIENTS! 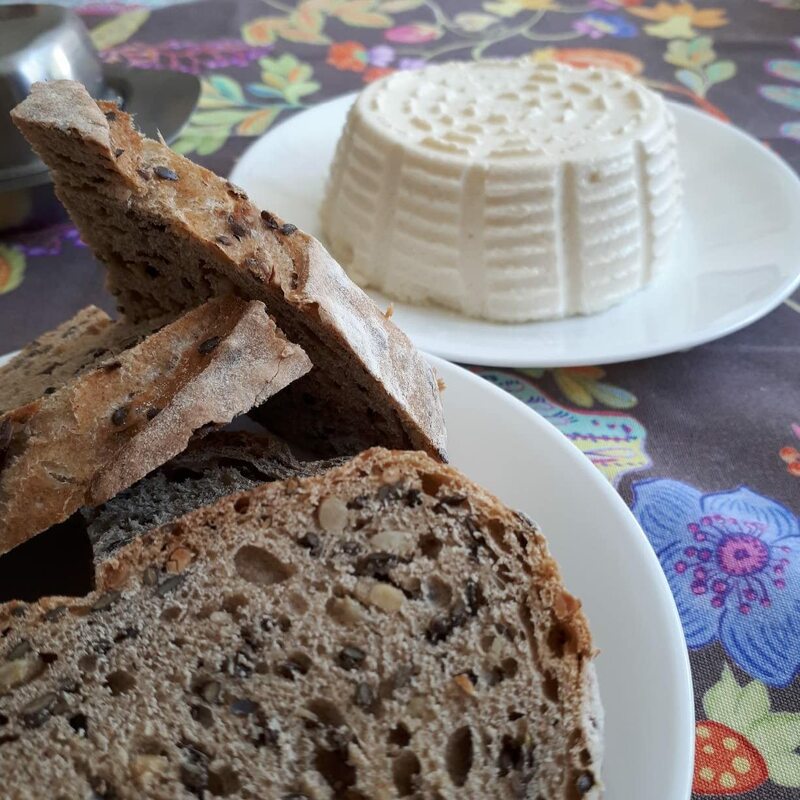 Want to make healthy and fresh cheese at home but don't know how? Tired of buying mass-produced, preservative and chemical-filled cheeses from the store? With the Homemade Cheese Microwave Maker, you can now make a perfectly healthy cheese right in your kitchens, using only two ingredients! For more unique cheeses, you can add a pinch of salt, some herbs, spices, garlic, chopped sundried tomatoes, crushed olives, sautéed spinach, etc. There are two compartments conveniently measured out on the lid, depending on what type of acid you need. The smaller one is for lime or lemon juice, the bigger one is for vinegar. The whole cheesemaking process is very simple to follow. Pour the milk into the white outer container and put it into the microwave without the lid for 15 minutes on 800w. Take the warm milk out and put your acid (lime, lemon juice or vinegar) into it. Stir well for a minute and let it curdle and separate. Add any extra ingredients you wish: salt, garlic, herbs, spices, etc. and stir again for a few seconds. Let the mixture stand for 30 minutes, uncovered. Pour everything into the included green mesh colander to strain it, separating the whey and the cheese. Do this over the kitchen sink or over another bowl if you wish to save the whey. After separation, pat the cheese down gently with a spoon, place the green colander with the cheese in it into the white bowl, put the lid on, and place everything in the fridge for at least one hour. And you're done! You'll have healthy and freshly made cheese! With the Homemade Cheese Microwave Maker, making homemade cheese is now simple, quick and easy! Impress and wow your dinner guests with a batch of freshly homemade cheese! The perfect gift for any cheese lover and connoisseur.